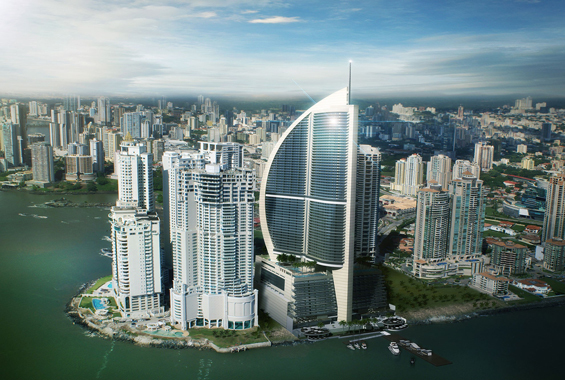 The famous Trump Hotel sits in a contemporary building overlooking Panama Bay. The 70-story building is a mere one minute walk to the Ferry Las Perlas terminal and within walking distance to Punta Pacifica’s shops and restaurants. 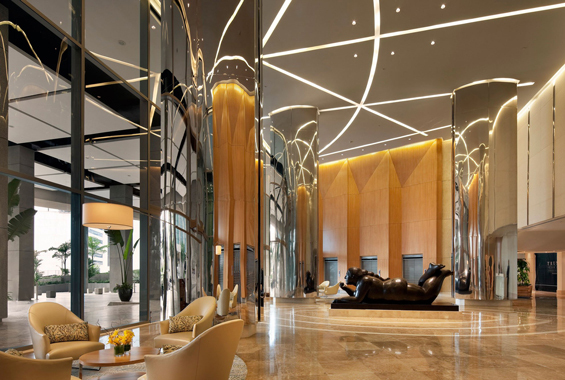 Trump International Hotel and Tower Panama offers guests exclusive amenities and top-of-the-line accommodations that are worthy of the signature services of Trump Attaché. The Panama hotel is the largest and tallest building in Central America, making it a must-visit landmark for tourists visiting the beautiful city. The hotel is also minutes from the financial district, which makes it the ideal place to stay for both business and pleasure. Start your stay at the Trump Hotel with something to eat or drink. Choices include Tejas Restaurant which features cuisines from Latin America and the Caribbean, including delicious seafood recipes. 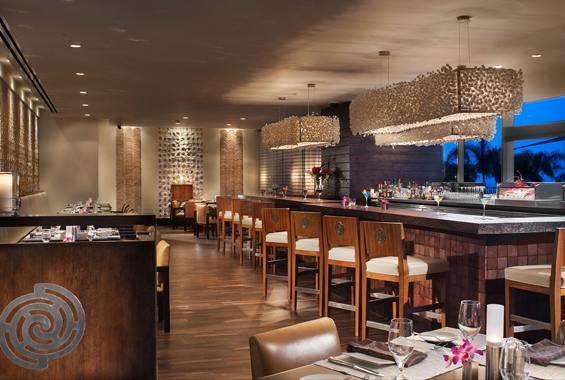 At Azul Pool Bar & Grill, diners can enjoy ocean view dining with traditional poolside cuisine in addition to lean cuisine for more health-conscious eaters. 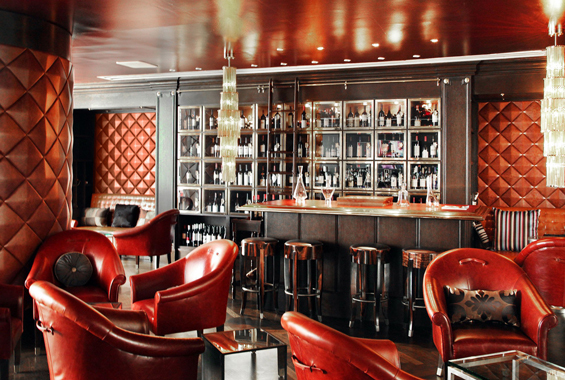 For an intimate wine experience, stop by the Cava 15 Bar. Another popular dining option at the Trump Hotel is Barcelona Restaurant which incorporates both local and international flavors. 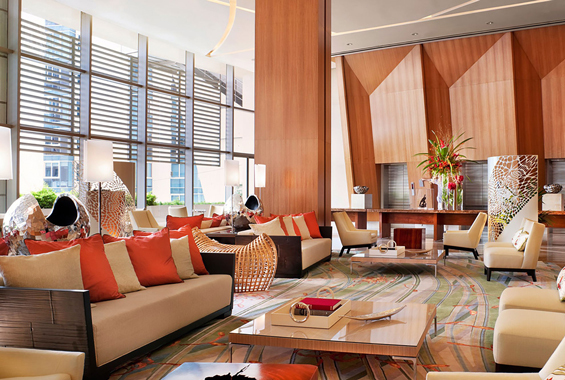 If you’re heading to Panama for business, the Trump International Hotel & Tower offers plenty of space for business gatherings. The Executive Boardroom is the ideal place for Board of Director’s meetings and other minor gatherings. Saboga and Viveros Rooms offer space for more intimate functions and events, such as cocktail receptions, banquets, and more. The Grand Pacific Ballroom is the ultimate public space which can accommodate nearly any size group. The Trump Hotel also doubles as a wedding venue where couples can host their special day. The rooms inside Trump Hotel are lavish, spacious, and the perfect places to relax. 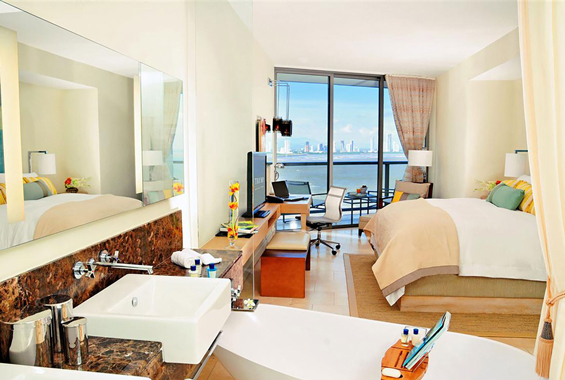 Guests can find bay-view balconies and floor-to-ceiling windows which give the rooms a spacious and airy appearance. 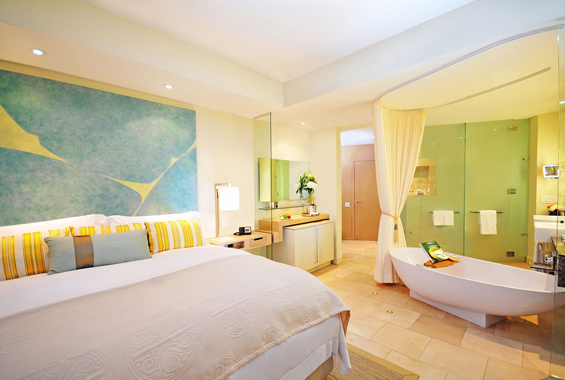 The polished rooms also have flat screen TVs, granite bathrooms, free Wi-Fi, and Nespresso machines. 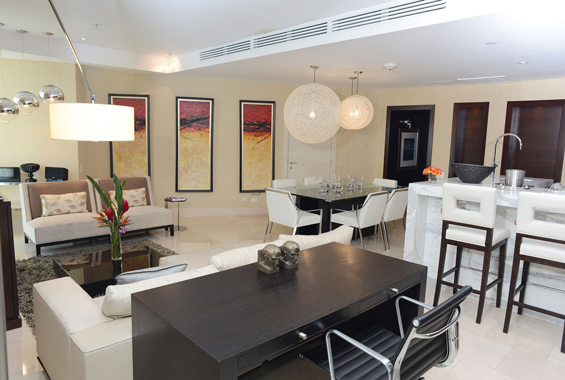 If you choose a suite, you’ll receive a room with a sitting area and separate lounge. Upgraded suites also include convenient kitchenettes. At Trump Hotel, room service is available round-the-clock. In addition to the hotel having multiple dining options, an atrium lobby café and a bar and grill on the 13th floor deck, Trump Hotel also features five outdoor pools, private pier, and a gym. 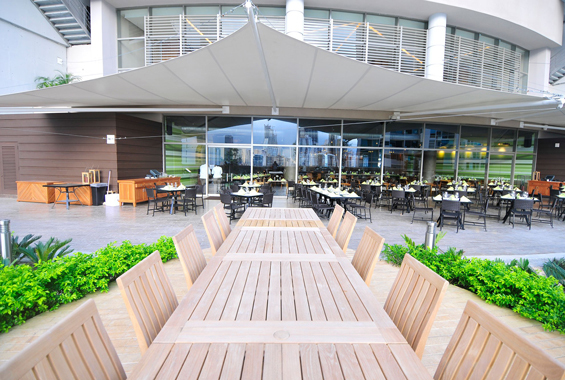 Situated at the tip of the Punta Pacifica Peninsula, Trump Hotel is a remarkable landmark in Panama City. The elegant hotel offers incredible views of the Pacific Ocean and has beautiful custom-designed furnishings at every turn. Trump Hotel has 369 lavish guestrooms and suites, a spectacular roof deck infinity pool with nearby private cabanas, world-class dining, signature service at Trump Attaché, on-site boutiques and shops, and accommodations that are just a shuttle ride away from the Tocumen Airport. If you’re staying at the Trump International Hotel, you’ll be glad to know there are plenty of things to do nearby. If you wish to stay on-site, make use of the five outdoor swimming pools in addition to a children’s pool. If you want to get your blood pumping, head to the 24-hour fitness center for a workout or partake in an on-site yoga or pilates class. If you want to take the fun elsewhere, you’ll find skydiving, eco-tours, golfing, and parasailing nearby. Also nearby are golfing lessons, hiking and biking trails, sailing, motor boating, scuba diving, and personal motorized watercrafts. Trump International is a 5-star hotel that has earned an incredible reputation in countries across the globe. If you’re looking for the perfect place to spend your vacation getaway, make a reservation at Trump Hotel.